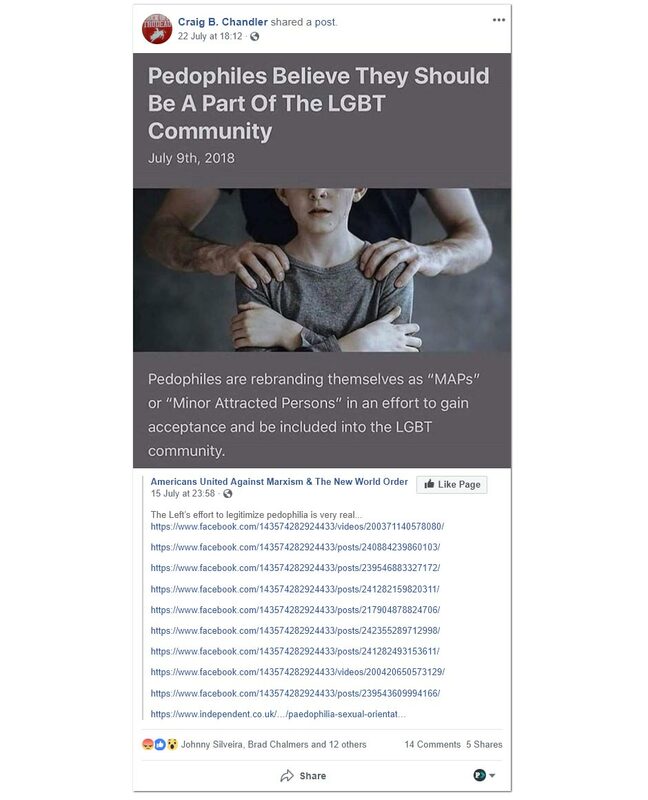 Calgary UCP nomination candidate Tanya Fir is standing behind her campaign chair after the top staffer recently shared conspiratorial postings on topics ranging from pedophiles infiltrating the LGBTQ community to a cover-up by Toronto police. 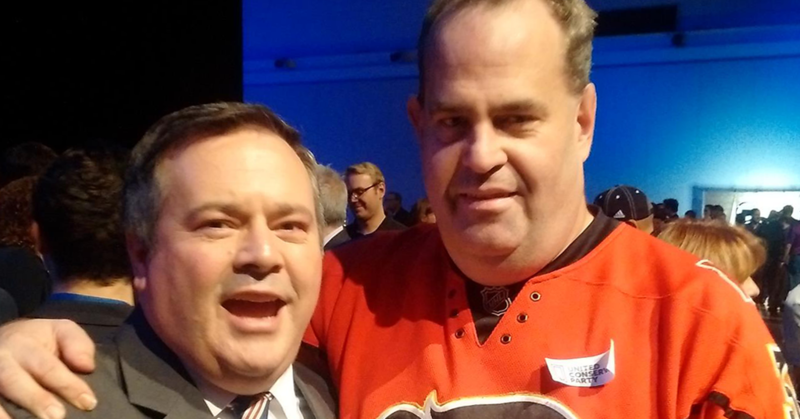 Craig Chandler, an ex-Alberta PC executive and a UCP organizer for Jason Kenney’s 2017 by-election campaign, is currently managing Fir’s UCP nomination campaign in the provincial riding of Calgary Peigan. Chandler confirmed to PressProgress that Fir still stands behind him. Although Kenney recently issued a zero tolerance policy on hateful comments in the UCP, Chandler says his social media postings align with Kenney’s policy because there is “no hatred” in his comments. “I support all Albertans equally regardless of race, language, culture, gender, religion, colour or sexual orientation,” Chandler said. 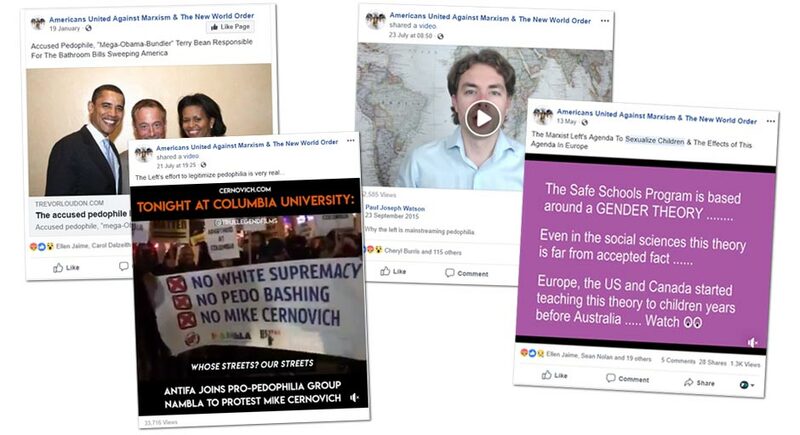 A number of links feature videos from alt-right personalities Mike Cernovich and Paul Joseph Watson, key figures responsible for popularizing “Pizzagate,” an online conspiracy theory that caused an armed gunman to open fire in a Washington, DC pizzeria in 2016, believing he was liberating children imprisoned in the basement by Hillary Clinton (in fact, the pizzeria actually had no basement). “The meme I shared says ‘pedophiles believe they should be part of the LGBT community’ and does not in any way say that the LGBTQ thinks they should,” Chandler explained. The chair of Fir’s UCP nomination campaign also defended his comments accusing police of being in “denial” about last week’s horrific shootings in Toronto. 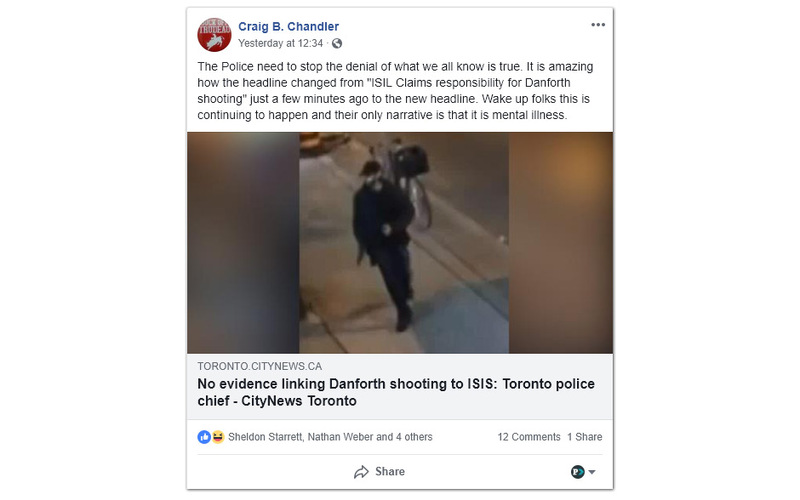 Following news reports that Toronto police had confirmed there was no evidence the shooter was linked to ISIS, Chandler blamed “radical Muslims” and claimed police and the media are acting to “withhold information” from the public. “The police need to stop the denial of what we all know is true,” Chandler wrote, also questioning why the media updated a news story to include comment from police. In 2016, Chandler resigned from the Progressive Conservative Association of Alberta’s board of directors after he accused the Earls’ restaurant chain of supporting terrorists after the restaurant chain said it sourced its meat from a supplier that also offers halal certified products. 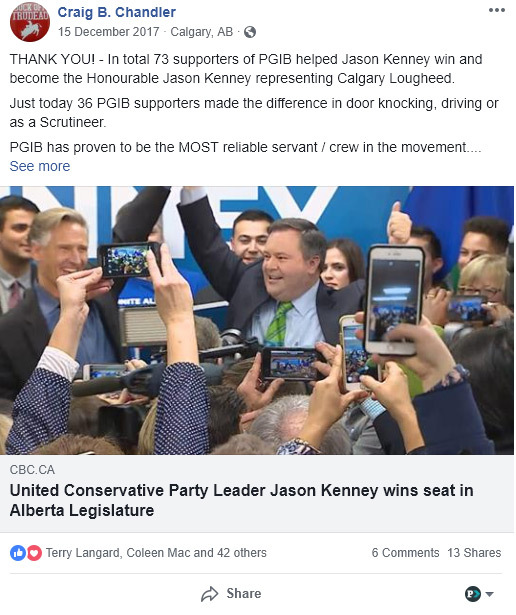 Chandler is the Executive Director of a social conservative activist group called the “Progressive Group for Independent Business” which recurited “73 supporters” to knock on doors for Jason Kenney’s December 2017 by-election campaign. Earlier this week, Kenney said “those who express hateful views” are “not welcome” in Alberta’s United Conservative Party. 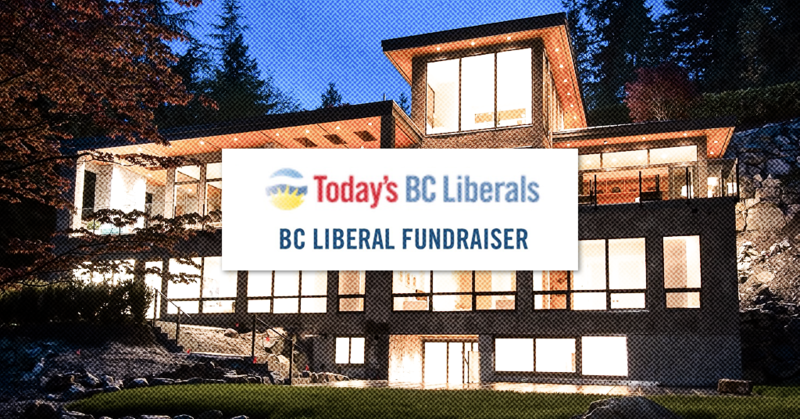 Only days after accusing the NDP of declaring “war” on the province’s wealthy elites, Andrew Wilkinson’s BC Liberals held a secret fundraiser at a mansion in one of Canada’s wealthiest neighbourhoods owned by a top executive at Enbridge. 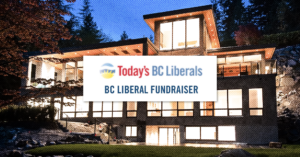 While the secret fundraiser isn’t mentioned anywhere on its website or social media feeds, high-net-worth BC Liberal donors would have received this private link to a hidden url to RSVP.